For many individuals, this can be a costly mistake. When it comes to planning a vacation aboard a cruise ship, many individuals focus their planning solely on their cruise. While the cruise itself is important, so is how you plan on making it to your vacation. Unfortunately, a large number of individuals are unaware that they must make travel arrangements to their cruise ship’s departure location. When many individuals become aware of this fact, it is often too late for them to change their mind. You are encouraged not to be one of those individuals. When booking a cruise, it is important to keep a cruise ship’s departure location in mind. Doing so may prevent unnecessary travel expenses. Selecting a cruise ship, with a close departure location, is advisable. Unfortunately, for many this is impossible. A limited number of costal locations serve as cruise ship departure ports. If you are unable to find a cruise ship departure location that is within a short distance to your home, you need to consider the cost of travel while booking your reservations. This cost is important because it may cause your vacation costs to exceed what you had previously expected. In the event that you must make travel plans to reach your cruise ship departure location, you should consider all options. These options may include driving your own vehicle, renting a car, flying on an airplane, riding the bus, or taking the train. All of the foresaid travel methods are doable, but the option you select will likely depend on convenience and the cost of travel. There are a number of advantages and disadvantage to driving yourself to your cruise ship departure location. The greatest advantage of doing so is that your travel will be easy. Simply by hopping into your vehicle and hitting the road, you could be on your way. When driving your own vehicle, planning is often easier. The only downside to driving your own vehicle is the cost of gasoline. If you are required to drive a long distance, the cost could substantially add up. If you are worried about the excessive miles on your own vehicle, you could rent one. Vehicle rentals are a popular way to reach your designation without an excessive amount of planning. Unfortunately, the cost of gasoline will also have an impact on driving. In addition to the cost of gasoline, the length of your cruise may also have an effect on the total cost of renting a vehicle. Vehicle rentals are charged by the day; therefore, if your car rental is left in a parking lot you may be wasting money. Flying is a popular travel method; however, it can be a costly one. Individuals trying to reach their cruise ship departure location are often encouraged not to arrive at their destination by airplane, unless absolutely necessary. This is due to the cost of flying. If your cruise ship departure port is only a few hours a way, air travel may not be the best option. However, there are some cases where air travel may be the only option. If you are without your own vehicle, flying may be necessary to reach your cruise ship’s departure location. 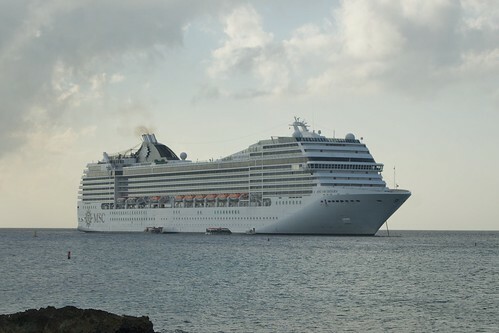 Traveling to your cruise ship’s departure location by bus or train are other acceptable travel options. Each is likely to take some time, but they are both inexpensive ways to travel. Many individuals can easily afford a bus ticket or a train ticket. Aside from excessive stops, it is possible that you may not have access to either. Each of the above mentioned travel methods all have their advantages and disadvantages. To find the perfect method of travel to reach your cruise ship’s departure location, you should weigh the advantages and disadvantages of each method. 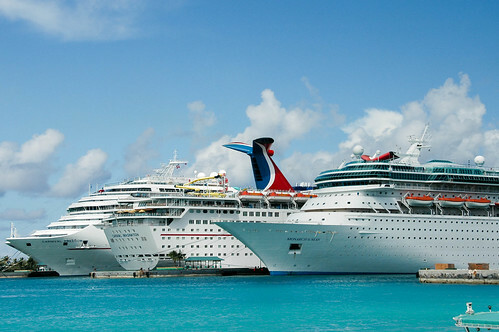 Once you have decided which method best fits your needs, you can rest assure knowing that you will make it on time for your cruise ship’s departure.